Crofton Park SE4 Rug Cleaning Experts | RDA Cleaning & Maintenance Ltd.
Make sure to do everything necessary to maintain your stylish rugs in top condition. Naturally, the first thing you need to think about precisely is what is the most effective rug cleaning approach. Well, certainly it is not the one with materials at hand. 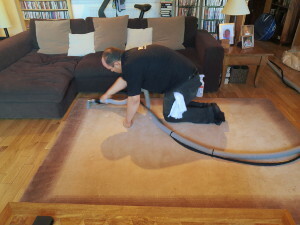 Better, opt for professional rug cleaning services in Crofton Park SE4. Having many years of experience in the home & office rug treatment segment, we can promise you safe & efficient cleaning of all rug types and styles. Choose us and we’ll successfully clean any wool rugs (hand-knotted, hand-loomed, hand-tufted, machine-loomed), natural fibre, hair on hide rugs, cotton rugs, synthetic rugs (both indoor and outdoor) and rug pads. In terms of style we can deal with all rug styles there are: traditional, transitional, contemporary, outdoor, flokati & shag, floral & tropical, solid & border, novelty, southwestern, world beat, braided and of course children's rugs. Depending on the rug type you have, either deep dry or steam rug cleaning Crofton Park SE4 will be performed. What Makes Us The Most Effective Rug Cleaners In Crofton Park SE4? When cleaning natural or decorative rugs with soapy water or by hand, the result is not only unsatisfying, but sometimes - catastrophic. The chance for you to ruin your delicate rug, if cleaning it on your own is quite big. But today, RDA Cleaning & Maintenance Ltd. presents you our modern and reliable rug cleaning service. It is specially oriented to luxurious, expensive or 100% natural rugs. We use certified and organic products - only dry remedies - to avoid toxins, shrinking or tearing. You can entrust our diligent carpet cleaners with dealing with all types of rugs including Persian, Egyptian, Turkish, Shaggy, Tibetan, Chinese, Oriental rugs and etc. The proper services our rug cleaners Crofton Park SE4 provide is a fully dry procedure, with no liquid detergents or water application. Spray-like products are used for tough stains. We also have efficient powders for pre-treatment. Dusting and vacuuming are included and if you request, we can also add some natural deodorizing effect. Dry rug cleaning Crofton Park SE4 is a method created by the need to not ruin non-water resistant materials. When these materials get in contact with water they would usually expand or decrease which would result in the ruining of the look of our rugs. This method uses a special powder and spray like products. The process begins when our technicians inspect the fabrics of the rugs to determine exactly what type they are. Doing this they can determine precisely what detergents can be used. Pre-treatment is the next step where all dirt patches, high traffic areas and stains are treated with the proper detergents. Then it's time for the special absorbing powder. It is evenly applied on the entire surface of the rug. Then a special machine with lots of tiny brushes scrubs the powder deep into the fabrics. There it combines with all the dirt and grime and is later vacuumed off. Expert Rug Cleaning Service In Crofton Park SE4 - Book Now! To make a direct reservation for an expert rug cleaning Crofton Park SE4 session, just use our online booking form. Fill the gaps and apply for an order. To get more information dial this phone number 020 3404 1646 today!